It's well-nigh impossible to make a film about the Holocaust without either lecturing the audience or slipping into inappropriate sentimentality. The best examples of this genre (if such a term is appropriate) are character-driven pieces like The Pianist and Life is Beautiful. These films focus on the utterly human reactions of individuals caught up in Europe's darkest hour, and steadfastly refuse to sugar-coat the brutality for the sake of holding an audience. Sarah's Key is an engrossing and compelling addition to the Holocaust film canon, which showcases both the qualities and the pitfalls of the genre. For the majority of its running time, it is an enticing and often moving drama which finds characters in the present day interacting meaningfully with their collective past. But all its hard work doesn't entirely pay off, thanks to a melodramatic final act which tarnishes the result. 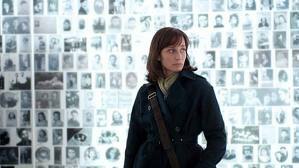 To give credit where it's due, Sarah's Key succeeds in the most important area, namely in its rendering or recreation of the Holocaust. The film explores an aspect of the Final Solution which has not been previously addressed on film, and it approaches the subject with courage and determination. The scenes at the Velodrome d'Hiver, where thousands of French Jews were rounded up and housed without food or sanitation, are suitably unpleasant and very tough to watch, particularly the shots of human excrement or a woman falling from the ceiling. Gilles Paquet-Brenner's camerawork is well-judged in these scenes and is surprisingly accomplished for a first-time director. During the scenes in the Vel d'Hiv, he uses long aerial shots to show the isolation of Sarah's family before they are sent to the camps, showing the squallor and hideous conditions without hammering the point home. In the camps his hand-held work is more frenetic: when the mothers are separated from their children, his camera darts all over the place to capture the sense of panic on both sides. This approach makes us feel as confused as the characters would be, and these scenes lack some of the staged quality that hampered Schindler's List. 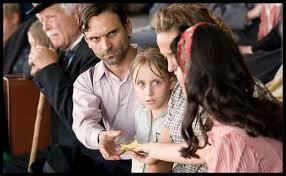 The film also benefits from a fantastic performance by the young actress playing Sarah. Melusine Mayance is a bewitching screen presence, and she conveys the innocence of the character without looking like she has been directed to do so. Like her counterpart Saoirse Ronan, she has wisdom beyond her years but is not an adult in a child's body, forced to act like a child. If she continues to deliver on the strength of this performance, she will be breaking audience's hearts for decades to come. Among its war film counterparts, Sarah's Key is on one level closest to The Pianist. Apart from Kristin Scott Thomas' links to Roman Polanski (they worked together on Bitter Moon), both films are primarily about survival. Both Sarah Starzynski and Wladyslaw Szpilman are not heroic in the traditional or conventional sense. They endure the Holocaust by neither fighting the authorities head-on nor rolling over and praying for death to come. In the truck on the way to the camp, an old man shows Sarah a ring full of poison, and says: "No-one can choose when I die." The film shows Sarah's transition from innocence to adulthood and a new life in America, via the heartbreaking discovery of her brother's death. 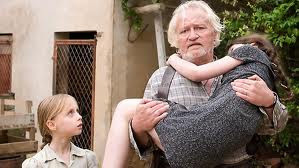 Having hidden her baby brother in a secret room when the French police arrive, Sarah is sustained by the hope and belief that he is still alive. This hope drives her every action, from asking the brunette lady with forged papers to let him out to tunnelling under the wire to get out of the camp. The death of her brother haunts Sarah, preventing her from ever feeling happy or free from her past. When she moves to America, her future husband calls her the most beautiful and saddest woman he could imagine, and eventually her grief cancels out whatever hope she had left. Both of the protagonists in Sarah's Key - Sarah and the journalist investigating her - experience large amounts of guilt over what happened. While Sarah's guilt is intensely personal (a literal skeleton in the closet), Julia's is part of a national or continental guilt that such awful events were allowed to happen. One man she meets works hard to put names to all the photographs of the Vel d'Hiv victims, commenting that it is painful but the right thing to do. Because this guilt is conveyed through naturalistic conversation, with the camera as observer rather than interrogator, we don't feel like we are being constantly made to hang our collective heads in shame. One particular aspect of the events at Vel d'Hiv reinforces the film's message of those closest to the horror turning a blind eye, or even encouraging what was going on. When the Jews are rounded up in 1942, we see a number of native French observers cheering and jeering from the rooftops. The Jews are depicted as inferior not just to the Aryan race, but to native Frenchmen, with even those who have lived in France for decades being degraded and derided. It's a fitting means to distinguish between race and nationality, concepts which became ideologically fused under Nazism. Both the success and the failure of Sarah's Key are contained in the narrative's framing device - that is, the cutting back and forth between Sarah and Julia's stories. On the one hand, such an approach makes perfect sense when looking at something as harrowing as the Holocaust. Kristin Scott Thomas represents the audience as present-day observers, historically removed from the events by both her age and her family background. The film admirably admits that, even with the sheer amount of information available, we cannot come close to recreating the Holocaust on screen. Unless we experienced it personally (as Polanski did), we have to view things from a distance, pursuing the truth without ever feeling the need to judge. On the other hand, the constant switching between the stories does start to become jarring as Julia's situation changes. Sarah's story is consistently more engaging and involving than the events in the present day, and while it never feels like we are watching two different films, we find ourselves longing for Julia's sections of the story to be hurried along. Some of the editing choices are borderline crass - for instance, Julia appears on the site of Vel d'Hiv just after Sarah is taken away. The other problem with Sarah's Key is its increasing reliance on melodrama which comprises the integrity of both sides of the story. Some of the first traits are seen in Sarah's section, where one of the French camp guards not only spares her life but helps her escape. The film is trying to be as nuanced as Paul Verhoeven's Black Book, showing that not all French collaborators were Nazi puppets. But the scene still feels contrived to the point of being totally facile. This becomes a greater problem in the present-day sections. After it emerges that Sarah is no longer alive, the loose ends flail and fray as the film searches for some kind of cathartic ending. Arguably having her still alive, to be discovered by Julia in the final scene, would have been more predictable and less rewarding. But the ending as it is feels inconclusive in a non-rewarding way, and the coda with the voice-over feels tacked-on. Sarah's Key is a flawed but admirable attempt to explore a difficult subject matter from an original angle. Kristin Scott Thomas turns in another fine performances, with a flawless American accent and unique subtlety in her facial expressions. The film is ultimately compromised by its later sections, which do undermine or cheapen a lot of what has gone before. But it is still a solid debut effort which suggests future promise for both its young performers and its director.